Seattle, Wash – April 19, 2017 – It was just announced that Google has developed AI that can sketch images. It should therefore come as no surprise that dozens of robots from around the world are now also painting with a brush, and many of them are quite skilled. The creativity of the teams and robots was evident not only in the artwork they produced, but also in how they went about making the art. Of the 39 painting robots, no two teams took the exact same approach. The Manibus Team captured the movements of a ballerina and painted it to canvas. HEARTalion built a robot that paints based on emotional interactions with humans. share your inner unicorn used brainwaves to control a mark making mobile robot. Other teams built custom robots that capitalized on their innate lack of precision to make abstract work such as Anguis, a soft snake robot that slithers around its canvas. Other robots were built to collaborate with their artistic creators such as Sander Idzerda’s and Christian H. Seidler’s entries. Two returning entries that were notable for their skilled approach to representational paintings in last year’s contest, have gone abstract. 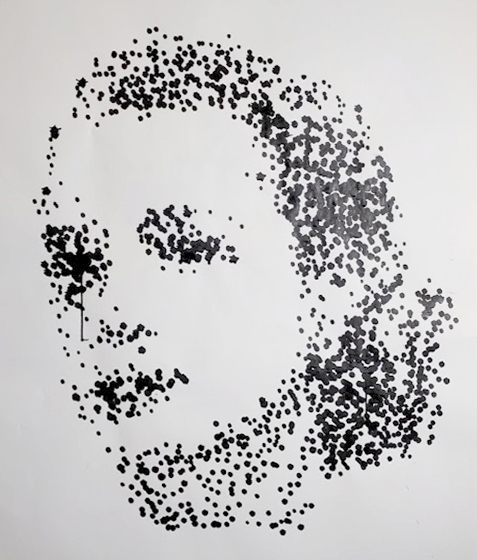 e-David submitted multiple abstract self-portraits, not of a human, but of the robot itself. Each of its works was a collaboration between an artist and the machine where most of the decisions were actually made by e-David as it continually watched and optimized its own progress on the canvas with multiple external cameras. CloudPainter also submitted multiple abstract portraits. It’s subjects were taken from photoshoots performed by the robot itself. For several of CloudPainter’s paintings, the only artistic decision made by an artist was to schedule the photoshoot. The robot then used artificial intelligence and deep learning to make all other “artistic” decisions including taking the photos, making an original abstract composition from its favorite, and then executing each brushstroke until it had calculated it had done the best it could to render its original abstract composition. The Robot Art 2017 competition will be running between now and May 15th when more than $100,000 in awards will be given to the top painting robots. Winners will be determined based on a combination of public voting, professional judges consisting of working artists, critics, and technologists, and by how well the team met the spirit of the competition – that is to create something beautiful using a physical brush and robotics. 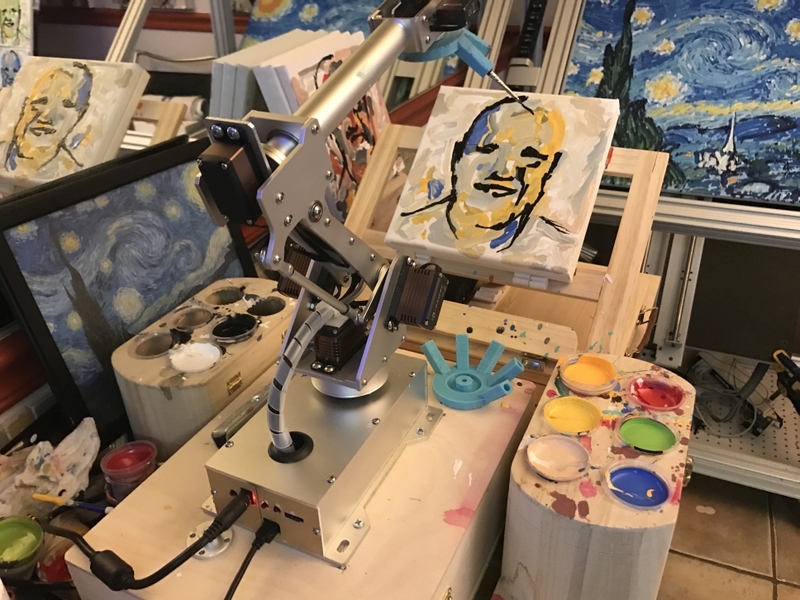 The public can see the artwork vote on their favorite robotic paintings at https://robotart.org/artworks/.